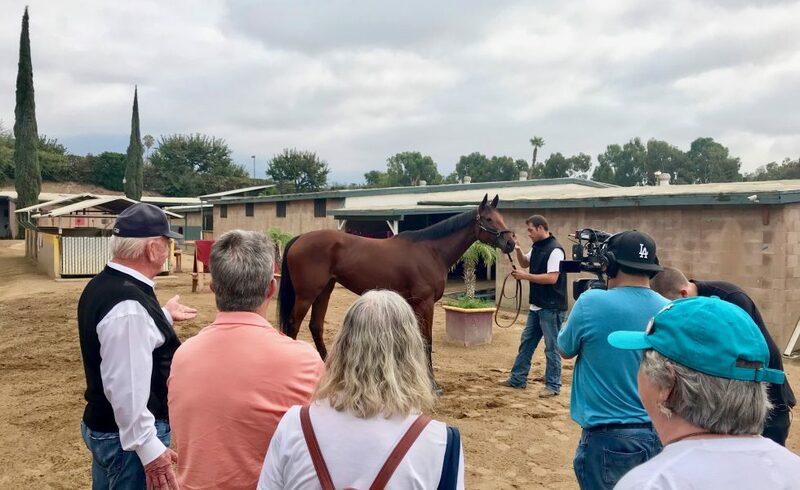 More than 60 people attended yesterday’s Conformation Clinic at Santa Anita. The very popular clinics are aimed at helping participants develop an “eye” for a horse by identifying conformation strengths and weaknesses. TOC partnered with trainers Jim Cassidy, Matt Chew, and Patrick “Paddy” Gallagher to present a valuable and professional program for the attendees. They each brought out horses to clearly illustrate horse anatomy — pointing out conformation flaws as well as correctness. Participants were also encouraged to ask questions during the program. 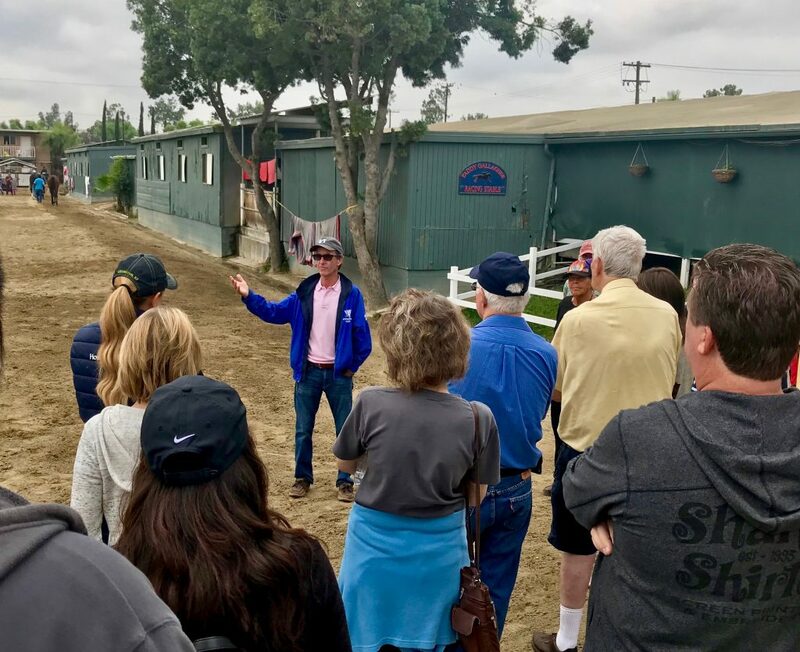 Attendees left with a packet of diagrams and information about horse conformation, free passes to the races compliments of Santa Anita, and a better overall understanding of what makes a “fast horse.” For information about upcoming TOC events, be sure to visit our Events page. 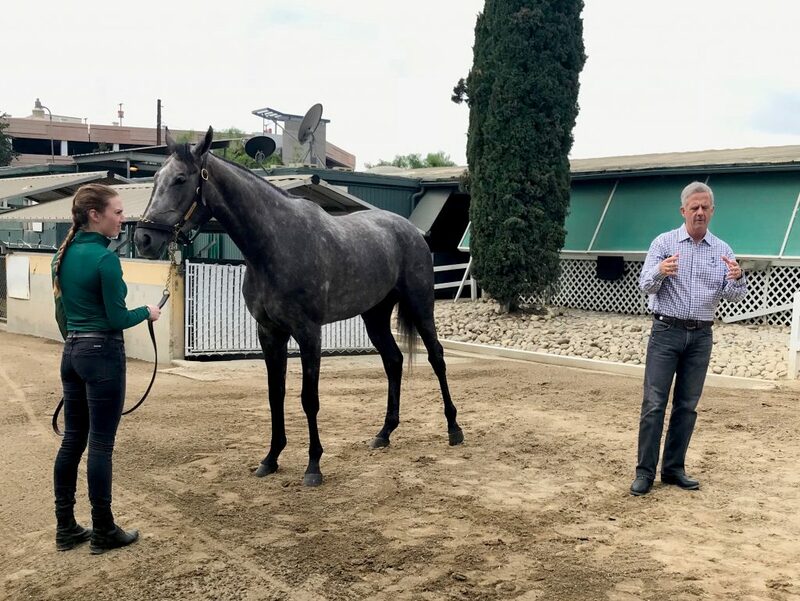 Trainer Matt Chew discussing conformation. Trainer Patrick “Paddy” Gallagher having a Q&A session. 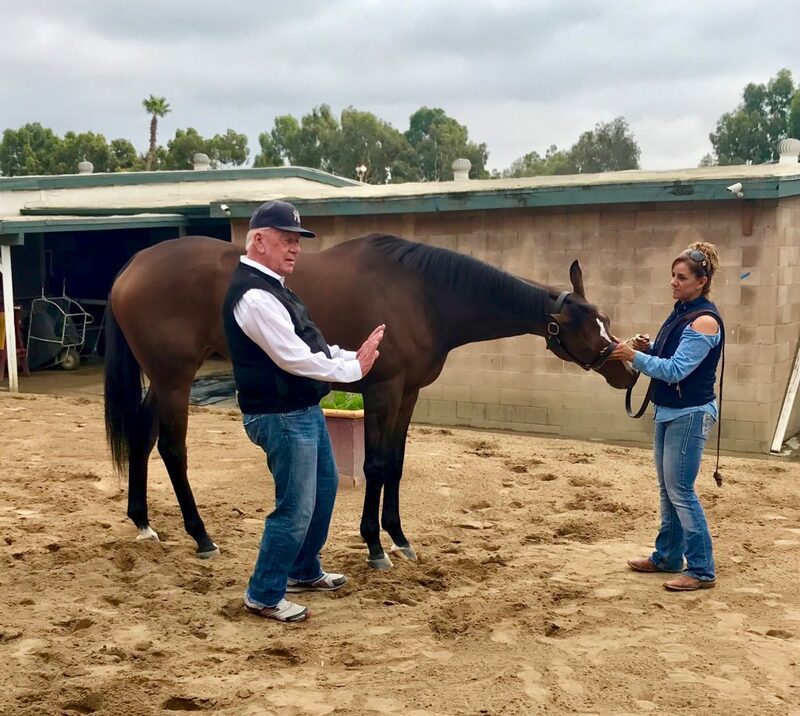 Trainer Jim Cassidy discussing conformation. For more photos, visit our instagram page.